Beverly A. (Boyle) Pennaman, 79, of Chelmsford, formerly of Pelham but for many years a resident of the Highlands section of Lowell, passed away Monday evening April 23rd 2018 at her home after a 2 year courageous battle with Cancer. She was the loving wife of the late Gerald S. Pennaman who died November 20, 2015. Born in Lowell, Massachusetts, January 15, 1939, a daughter of the late Peter J. and the late Mary E. (Finnegan) Boyle, she attended Lowell schools and was a graduate of Lowell High School in the Class of 1958. 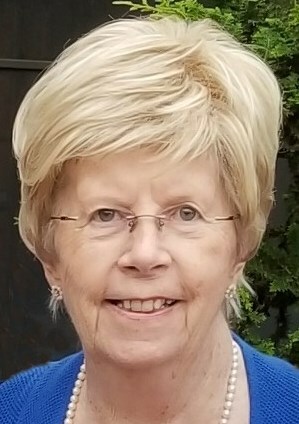 Prior to her retirement, Beverly was an accountant with the Raytheon Corporation at their Bedford and Tewksbury offices where she worked for over 30 years. In addition to spending time with her family, Beverly’s other true passion was playing golf with family and friends. Beverly is survived by her dear nieces and nephews Paul and Kathleen MacDonald, Brian MacDonald and Carol Croffy, Mark MacDonald, Thomas Walton, Judith and William Casagrande, Maryann Boyle and Tim and Cora Boyle; many great nieces and nephews and great-great nieces and nephews; and a special lifelong friend, Elinore Laverty of Lowell. She was predeceased by her siblings, Helen E. MacDonald, Phyllis M. Walton, David, John “Skippy” and Peter Boyle. A Special thank you to the staff and friends of Chelmsford Crossing for their love and support. Friends may call at the O’DONNELL FUNERAL HOME 276 PAWTUCKET ST. in LOWELL from 4 to 7 P.M. on Thursday. Relatives and friends are invited to attend her Funeral Mass to be celebrated Friday morning at ST. MARGARET CHURCH, Stevens St, Lowell, MA at 10 o’clock followed by burial in St. Patrick Cemetery. E-condolences/directions at odonnellfuneralhome.com Those wishing may make contributions in her memory to Lowell General Hospital Cancer Center C/O Philanthropy Office, 295 Varnum Ave., Lowell, MA 01854. Arrangements by Funeral Director James F. O’Donnell, Jr. (978) 458-8768.